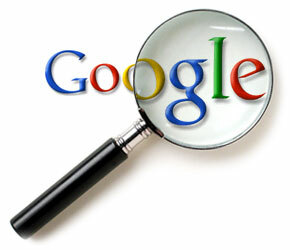 Here we go again with another Google search algorithm change. For businesses that outsource SEO, this may be good news. For SEO outsourcing companies, this can be another way to put SEO sites in the topnotch position of search engine results pages (SERPs). The change in the algorithm will help make the search results “fresher”. This update will affect a massive 35% of all searches. And here we thought that Panda’s 12% effect was large. If there are new events or hot topics, users would definitely want to the latest information. With regard to the new update, if you start searching for the latest news, you’ll see more high-quality pages that are only minutes old. When regular recurring events take place, people want to get the latest updates – not something that happened years ago. Of course, if the event is something like Presidential elections, you’d want to see current results. The new update will give users the latest information no matter how frequent the event recurs. If certain information changes often, you’ll still get the latest information. If you’re seeking for more information about particular software, then what you’ll see is the latest version. So, if you need any help with SEO, don’t hesitate to let us know. Our company offers services such as white label SEO, social media marketing, web design and paid advertising that will help you with your online marketing needs. What Should Marketers Do with Google’s Movement towards Secure Search?